The beef between T.I and Floyd Mayweather just got mad heated with T.I Landing Floyd a hot sucker punch to the face. I have on here a video of part of the altercation where Flyod tells T.I to control his woman. OUCH!.. 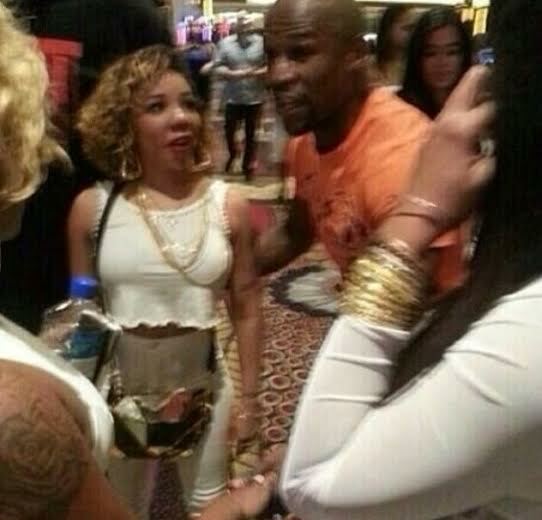 First off, doesn’t it seem like Floyd is always caught up in some sort of woman drama? First Nelly and now T.I. Le’Sigh! Anyhoo, check out the video below and after that, a funny video from 50Cents clowning Mayweather. Personally, I think the rumor of Tiny boinking Floyd was soo deep that for T.I’s sake she shouldnt have been spotted with him. T.I is obviously a jealous man. Remember the Booty Shot pictures situation? Lets hope they sort themselves out ASAP. They should settle this hatred between the two soon, or else someone is going to get more than just a punch I believe.